Stan's was one of the numerous participants and sponsors in the 2018 Wheel Jam. 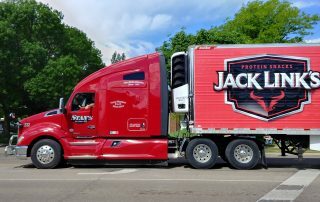 This event is three days of shows, featuring everything from semis, cars, and motorcycles to parades, live entertainment, and several food vendors. 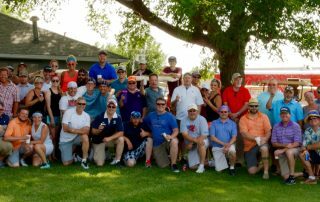 Thank you to all the team members who helped represent Stan's! Stan's recently participated in the annual Huron Middle School Career Day. 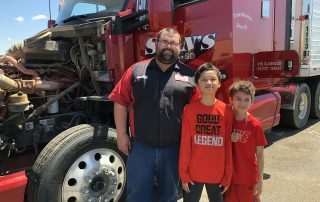 Extending a special thank you to Robert Spitznagel from the South Dakota Trucking Association, and Stan's shop manager, Brian Stange, who took time out of their busy schedules to attend and share knowledge of the transportation industry with the students and instructors. 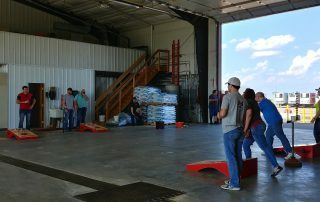 Stan's employees gathered to say Goodbye to Winter and Hello to Spring with a social event including yard games, delicious snacks, and refreshing beverages. 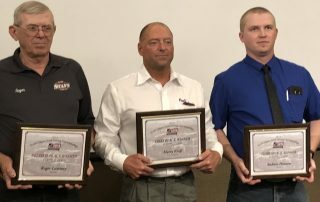 This year Stan's drivers Roger Lammey and Santiago Treviño participated in the South Dakota Truck Driving Championships. We would like to congratulate driver Roger Lammey on 2nd place in the Flatbed Division! Thank you Roger and Santiago for representing Stan's and for your endless hard work and dedication!